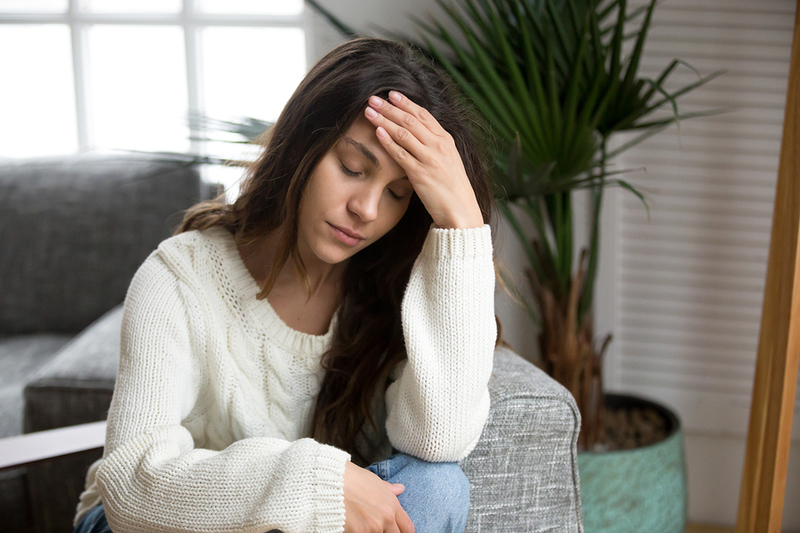 If you are suffering with a chronic headache condition, you are probably eager to hear about any solutions that come your way. 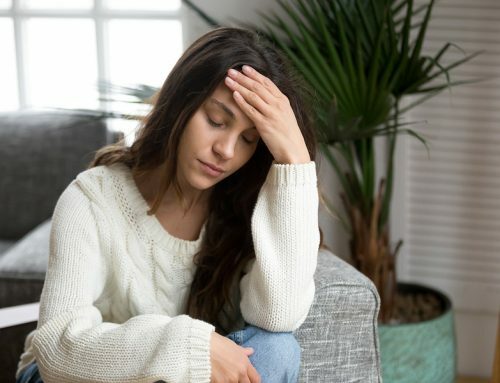 Below we’ve listed a few of the best natural ways to keep headaches at bay, and at the very end, we will describe the number one option for natural headache relief. Surprisingly, the true source of headaches is not usually in the head. Bottom line: the neck plays a major role in most headache conditions. This is why stretching, specifically the area of the neck, is so beneficial in preventing headaches that would normally occur on a regular basis. The most effective types of stretches that maintain proper neck alignment are shoulder stretches and those that improve the range of motion of the neck and strengthen neck muscles. As a general rule, exercise can be good antidote for pain. This can seem like an intimidating option while managing a headache, but something to remember is that exercise releases hormones in the body to keep you feeling good as well as reducing pain levels. If you blend neck and core exercises that strengthen the spine, then you’ve got a head start towards fewer headaches. Certain lifestyle choices you are making could be contributing to headaches, so it a good thing to examine and perhaps adjust accordingly. An example would be smoking cigarettes and drinking alcohol, as mentioned previously. Why would these habits affect headache onset? Dehydration increases the likelihood of getting a headache, and alcohol contributes to inadequate fluid levels in the body. Drinking moderately, while replenishing with plenty of water, could offset this problem, however. Smoking or chewing tobacco is problematic no matter how you do it. Sticking with this habit disrupts natural blood flow in the body and can cause headaches while also increasing the loss of disc material between the neck vertebrae. Ice is a natural combatant to inflammation, which is a common problem in the neck after a head or neck trauma like whiplash or a concussion. These injuries often lead to chronic headache problems. To lower inflammation, it is recommended that you ice the neck on and off for several days after the injury. Avoid leaving the ice on for more than 20 minutes per session. Try enfolding the ice in a dish towel or hand towel to save your skin from direct contact. Ice is also helpful when your neck is stiff or sore from sleeping wrong – another reason for headaches. Do not sleep on your stomach because this puts your head in a side-turned position all night. This can easily cause inflammation, misalignments, and headaches. Back sleeping is the optimal way to sleep, as long as your head is positioned in such a way that the curve of your neck is properly aligned. Use softer or thinner pillows to help with this. Side sleeping can be beneficial, but it is important to use a pillow between your knees. Using a firmer or thicker pillow to help keep your head from tipping toward the bed all night is a good idea as well. Maintaining proper posture is huge when pursuing fewer headaches. Generally, people who sit at a desk all day for work have poor posture while at their desks. To help with this, you can position your monitors at eye level to avoid a forward head position that adds pressure to the neck exponentially. Lumbar support is another key, so be sure you have proper lower back support as you sit. One important habit to incorporate is getting up to walk and stretch every hour. A common theme among the top ways to alleviate headaches naturally is a focus on the neck and not the head. The reason for this is that even a ¼ millimeter misalignment of the C1 and C2 (top two bones in the neck) can result in headaches due to restricted blood flow to the head or inhibiting brainstem function. Upper cervical chiropractors are specialists in the upper neck area. Diagnostic imaging is used to pinpoint and take precise measurements of the misalignment. The adjustments are a low-force correction (no popping or twisting) that give a gentle realignment with long-lasting results. Many patients find that their headaches become less frequent or severe, and some patients become headache-free. To learn more about upper cervical chiropractic in Odessa, Missouri, call our clinic Back in Action today at (816) 633-5355. We are more than happy to answer any questions and tell you more about how we can help your unique condition.